Are cooperative businesses the way to achieve the end of capitalism and create an egalitarian society without class inequality and exploitation? Some people believe they are, as this article by Carl Gibson (a co-founder of US Uncut), titled "Cooperative Economics: Replacing a Collapse in Capitalism," illustrates. This article is about two kinds of cooperatives, living arrangements and businesses. The part of the article that discusses the advantages of cooperative living arrangements makes some valid points. But the article is wrong in claiming that cooperative businesses, like "the Mondragon co-op in Spain, the world’s largest successful co-op business with 83,000 employees," should be "our new economic model" to replace capitalism. The problem with the worker-owned cooperative business economic model is that this model retains one of the most important defining characteristics of the capitalist model with which we are so familiar today: production of commodities to be sold for a profit in the market place (as is the case with the Mondragon co-op, discussed here). The appeal of this "coop" economic model is, of course, that it entails the workers of a business being the owners of the business as well, rather than the owners and workers being distinct people. Since the workers are the owners, there is no exploitation of the former by the latter; no longer is it the case, in other words, that an owner obtains a profit by paying workers less than the value they add to raw materials in making a product (or service), which product the owner then sells for its full value (including all of the value the workers added to it) in the market place, claiming to be the sole owner of the product because he/she asserts sole ownership of the means of production required by the workers to produce it. Arguments for the "coop" economic model only discuss the benefits of workers being the owner; they never discuss the serious problem of it retaining the capitalist character of production for profit. What Are the Consequences of Production-For-Profit? To properly evaluate the desirability of the "coop" model, however, one has to consider the consequences of production-for-profit. What are these consequences? What happens when production is for profit, instead of for the purpose of the product or service being shared, with others who contribute reasonably to the economy, on the basis of need? What happens is what happens today: It is often the case that the people who need something important cannot obtain it even though the supply is (or could easily be made) adequate. Poor people today, to take just two examples, lack good food and good health care simply because they lack the money to buy these things for a price that enables the sellers to obtain a profit as large as the profit they could make producing and selling something else to other buyers. This problem stems from production-for-profit per se, not from the separation of workers and owners; thus eliminating the latter leaves the former intact and hence does not solve the problem of people lacking good food and health care. And this is a huge problem, not a minor one. Production-for-profit also has a very negative consequence for the workers in a given worker-owned business themeleves. What tends to happen is that the logic of production-for-profit eventually separates the workers from their "ownership" role in every respect except nominally. How does this happen? Success in the production-for-profit business requires obtaining bank loans (for all of the same reasons that today's capitalist owners rely on bank loans). Banks, in a society based on production-for-profit, only make loans for profit, meaning they require their loans to be repaid with interest. As soon as workers in a "worker owned" business take out a bank loan, the ownership of the business is no longer only its workers, because now the bank is a part owner. The bank sets conditions on its loan and extracts some of the profits of the business from the pockets of the workers. This is true even if the bank is a worker-owned bank, or a bank like the Bank of North Dakota (about which, more below) that Gibson holds up as an example of a good bank because it is owned by the State of North Dakota, gives business loans conditional on the business providing jobs, and returns some of its profits to the General Fund of the state. The conditions that the bank makes for its loans are those required to make the business profitable, which include lowering the costs of production (just as today) and hence lowering the cost of labor (just as today) and hence reducing wages and benefits as much as possible. The workers are told to wear their "we are the owners" hat and accede to the logic of these demands. Gunn (2000) and others (Errasti, et al. 2003) argue that the increased international integration of the world economy (a.k.a. "globalization") have adversely affected Mondragon, primarily in its ability to retain its unique and democratic features. "[T]he trend toward greater reliance on markets of the past two decades has made it more difficult for initiatives in workplace democracy to survive" (p. 448). 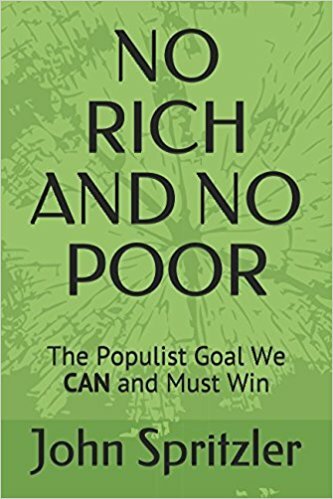 He also notes that "the day-to-day objective of democratically-managed firms is the maximization of some combination of income per member and employment stability" (p. 451), factors which are beginning to disappear. For instance, some Mondragon firms have begun hiring non-member workers (cooperative equivalent of other companies hiring "temp workers"). Cultural pressure has arisen for greater individualism and hierarchy in place of the ideal of "socially-coordinated governance structures." There has also been continual pressure within management for increased pay differentials. [The original pay differential was 1:3 (worker to management), but has since increased in some firms to as much as 1:10.] All of these factors have contributed to a greater gap in power amongst workers and managers in Mondragon. In 1974 there was a strike by Mondragon workers against the Mondragon management. The issue was inequality. As described here, the striking workers "objected to the differentiation of pay levels on the assembly lines and asked that the equal payment system be continued. They also objected to the use of merit ratings for workers engaged directly in production." The 17 workers considered to be the instigators of the strike were fired, and only re-hired much later because the governing board felt that "the tensions and bad feelings could not be resolved otherwise, that the serious disagreements maintained divisions within the cooperative, and, equally important, that the discharges had not been well understood and accepted in the surrounding community." The trend in Mondragon over time, as reported here in a study published in 2010 by the William Davidson Institute at the University of Michigan titled, "Assessing Mondragon: Stability & Managed Change in the Face of Globalization," is that pay differentials are increasing and the company is relying more and more on non-members (i.e., "temp" workers) who do not enjoy the benefits of membership. Global competition forced the overarching structure of Mondragon to become centralized and bureaucratic over the years, making them less responsive to workers. Power is being centrally concentrated and control of the managers is moving away from the workers and toward senior executives. The Social Councils’ power is severely curtailed and accountability is slipping away. Senior executives appear to make decisions on a profit-maximizing ideology instead of the people-oriented ideals originally laid out by Don Jose. Due to the rapid increase in corporate management salaries elsewhere, Mondragon has had to increase their solidarity ratio (the ratio of the highest paid workers over the lowest) from 4.5:1 to 6:1 or as much as 15:1 in some cases. Salaries are even higher for competitive fields. This is exactly what happened in Yugoslavia under Tito's "market socialism" in which workers controlled their businesses. In "Yugoslavia: The Case of Self-Managing Market Socialism" in the Journal of Economic Perspectives, Saul Estrin reports that the result of "allocation by markets" was that "The Communists felt that markets were taking the economy in a direction they did not want to go, with sharp trade cycles, unemployment and pay inequality." What Will It Take To Win an Egalitarian Society? The example of the Bank of North Dakota (BND) that Gibson highlights is interesting to examine. This bank is the only bank in the United States that is owned by the state itself. Its existence raises two questions: #1) Can the negative consequences of the "coop" economic model based on production-for-profit be eliminated if banks like the BND replace traditional capitalist banks? #2) If so, what would it take to go from the present status quo to the full implementation of this solution? Regarding question #1, the only way it would seem possible for a BND-type of bank to eliminate the problems caused by production-for-profit would be for the bank to give (for free, via the state or directly on its own) everybody the money they lacked to buy the things they needed but couldn't afford. The bank would in effect tell a business, "Produce X instead of Y, because even though the people who need X can't afford to buy it at the price you'd have to charge to make a profit, we (the bank) will give them the money to buy it." But this is equivalent to the bank saying, "Produce X instead of Y because the people need X, and we (the bank) will pay you directly (why pay you indirectly by giving money to poor people who then just turn around and give it to you?) enough money for you to make your profit." The bank, in turn, would get the money to make these payments by taking it from the profits of the businesses (as "interest" on a loan or on some other pretext.) What this ends up being is an economy that is not really based on production-for-profit at all anymore, but rather production for need, with those who need something getting it for free if the bank decides they deserve it. This scenario represents something entirely different from the "coop" model based on production-for-profit; it is a sharing economy. In fact, the role of money would be entirely superfluous now. The bank simply tells workers what people need and asks them to produce it and give it to them for free, period. When cost/benefit decisions are made about trade-offs between the desirablility of using resources for this or that, it is no longer profit that determines the decision but the bank's considerations of the pros and cons of various choices. And if the bank is controlled democratically, and democratic decision-making is based on decentralized voluntary federation of local assemblies, then this scenario is what is described in what Dave Stratman and I wrote in Thinking about Revolution. "Though initially conceived by populists in the Non-Partisan League as a credit union-style institution to free the farmers of the state from predatory lenders, the bank's functions were largely neutered by the time of its inception by the business-backed Independent Voters Association. The recall of NPL Governor Lynn Frazier effectively ended the initial plan, with BND taking a more conservative central banking role in state finance. The current president and CEO is Eric Hardmeyer, however the bank is managed by the North Dakota Industrial Commission, which is composed of the Governor, Attorney General, and the Agriculture Commissioner (formerly the Agriculture and Labor Commissioner) of North Dakota." Since 2010 the governor of North Dakota has been Jack Dalrymple, a Republican businessman whose speech here indicates that he thinks things are good and getting better for people in his state. In truth, in the last two decades the average annual increase in income for North Dakota's poorest fifth of families compared to its richest fifth of families was $175 for the poorest versus $2,525 for the richest. Governor Dalrymple is the kind of person who manages the Bank of North Dakota today. Expanding the magnitude enormously and drastically changing the nature of the role of the BND to the point where egalitarianism prevails would clearly require abolishing the power of the wealthy class that currently rules North Dakota and the rest of the nation. This is not something that can happen without at some point confronting and defeating the full power of the American ruling class with an explicitly revolutionary mass movement. Although the "coop" economic model does not solve the problems caused by capitalism, there is one reason that this model nonetheless remains attractive to some people. The reason is that one can advocate for this model and try to implement it today without having to confront, and fear opposition from, the plutocracy that rules the United States. Thus when United Airline workers became owners of United Airlines with what is called an Employee Stock Ownership Plan (ESOP), the Associated Press covering the business community's response reported, "It was greeted with much fanfare, even lauded by the Clinton administration." President Clinton, let us not forget, was a darling of the capitalist class who ushered in NAFTA that has enabled countless employers to threaten workers that their jobs would be sent to Mexico unless they accepted deep cuts in pay and benefits. President Clinton also, to the dismay of his liberal supporters, “abolished welfare as we know it” to rip apart the social safety net in the U.S. and thereby force workers to work at very low-paying jobs with few if any benefits. "All it takes to form a co-op is a small group of determined people all set on an idea to cooperatively own and operate a facet of the economy and allow them to make decisions in a democratic process. By democratizing society through housing and work, we can start a new revolution in our politics, our economy, and even our environment by choosing to consume sustainably and minimize our impact on the planet. It’s up to us - let’s get it done." But this is not "all it takes" to create an egalitarian society. What it takes is a vision of an egalitarian society with an economy based on sharing according to need instead of buying and selling for profit, and a vision of genuine democracy that, unlike Communist and theocratic revolutionary models, is based on voluntary federation of local communities instead of the top-down principle of hierarchical authority that is shared in common by capitalist "democracies," as well as Communist and theocratic regimes. It also takes a determination to remove the plutocracy from power, which in turn requires an understanding of why this is not only necessary but possible. We need, in other words, to start Thinking about Revolution. Postscript: A major Mondragon firm declared bankruptcy, as discussed here.